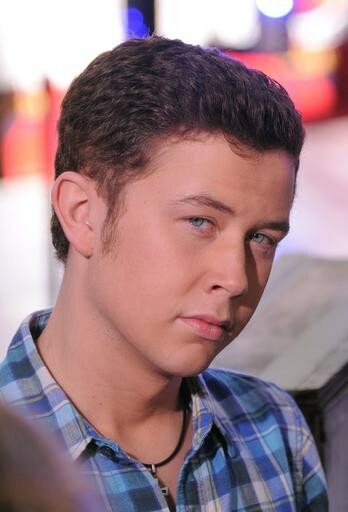 If you missed this, here is the Live Chat with Scotty and the Idols Enjoy!! Scotty leaps into the number 19 position on MediaBase Chart, additionally Thomas Rhett announced that Scotty "Cut" one of his songs! Thomas is Rhett Atkins son, and is signed to Big Machine. Jason Aldean has also "Cut" one his songs "I Aint Ready to Quit." Exciting stuff! Also, there is a discussion on "Pulse Music Board" about the youngest artists to break into country, and what position their first single peaked at on the charts. Seems Scotty is up there with the few. If you know any details, or can find out what age the youngest country singers had their first hits, and what position it peaked at on the charts, this would be interesting! So far I am seeing that Scotty might be the first MALE TEEN country artist to have a hit this high. Does anybody know of another MALE TEEN to have a country hit? I understand females have in the past, but I'm curious about males :) Thanks!